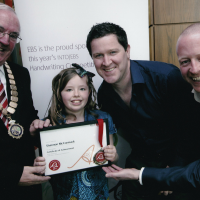 We are very proud of the achievements of our school, and of the awards that we have won in recent years. 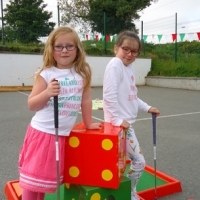 Over 400 children from Le Chéile Educate Together National School took part in a fun filled event which saw the school transformed into a 15 hole mini crazy golf course for the day. 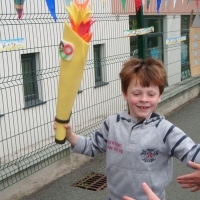 The fundraising event, organised by the parents and staff of the school, aimed to raise money for the development of musical projects in the school. 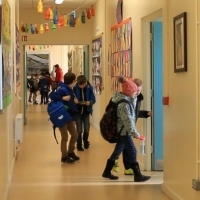 The fundraising committee built on the enthusiasm of all students following their Skip- Hop training to raise much needed funds to help support all students’ extracurricular activities. We celebrate all festivals and traditions at Le Cheile. Something very strange happens to our children at this time of the year…. 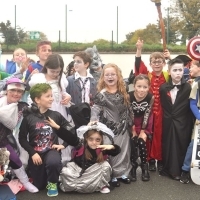 and this year was no different as the school was flocked with superheros, witches, wizards and zombies to name a few. 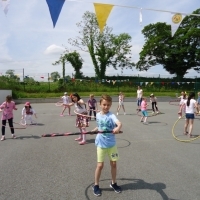 Over 400 children took part in the Hula-Hoop-A-Thon which kicked off at 9.45 and continuous hooping took place through out the day. 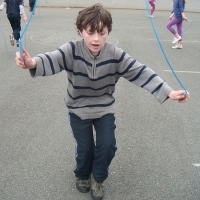 Each class was led by expert hooper Nicola delivering a fun fitness workout for the boys and girls and even a few teachers and parents gave it a whirl!